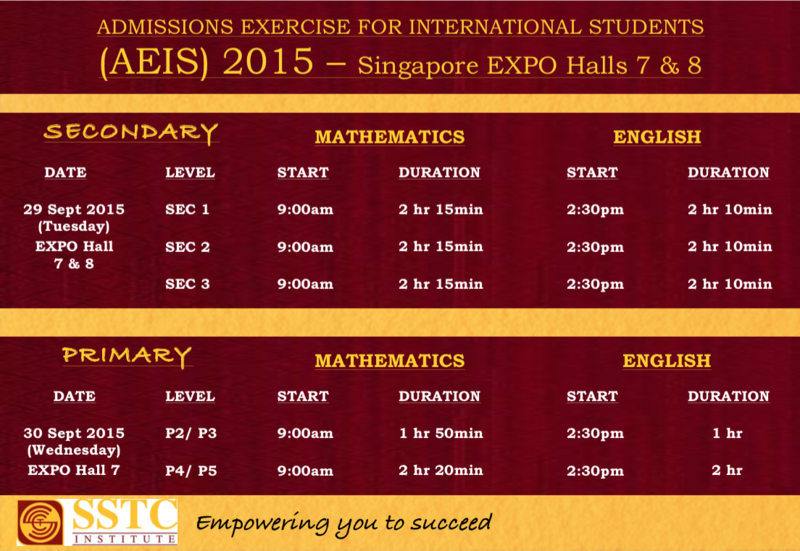 The Admissions Examination for International Students (AEIS) 2015 is scheduled to take place at the Singapore EXPO Halls 7 & 8 on Tuesday, 29 Sept 2015 and Wednesday, 30 Sept 2015 for Secondary 1-3 and Primary 2-5 respectively. Students are advised to be at the venue no less than 45mins before the start of the examinations to secure a place in the queue, which leads to the Examination Hall. Please DO NOT bring too much cash and valuables, as personal belongings are required to be placed at a specific location in the Examination Hall. 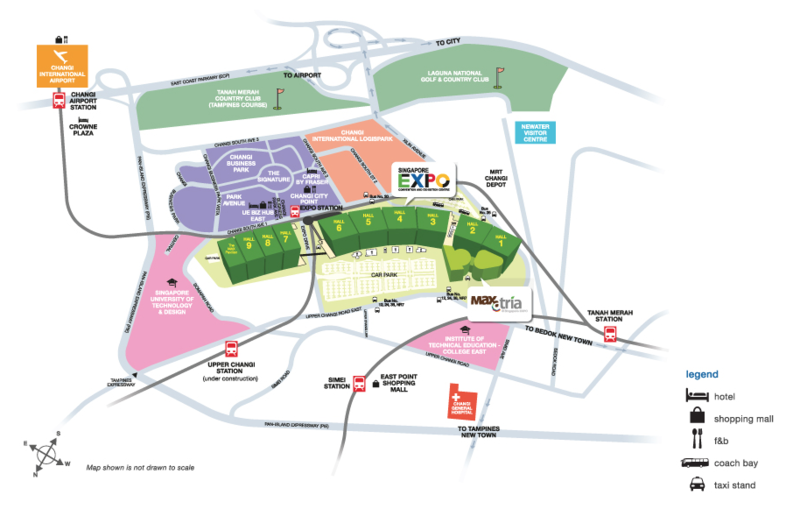 Kindly be advised that most of the eateries/restaurants in and around the vicinity of Singapore EXPO will be accommodating a large lunch crowd during the break period. It is recommended that students bring their own packed lunch for consumption during the break and alternatively, have their parents/guardians bring their meals for them. 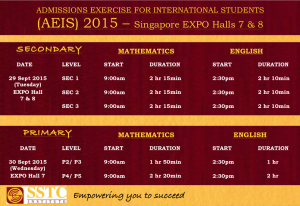 We wish all our SSTC Students GOOD LUCK in your Exams! Remember to stay calm and do your BEST!